HERNDON, Va., Jan. 7, 2019 /PRNewswire/ -- Serco Inc., a provider of professional, technology, and management services to the Federal, State, and Local Governments, announced today the appointment of Craig Reed as Chief Growth Officer and Senior Vice President. In this position, Reed will oversee corporate strategy and business development efforts to drive Serco's business growth. He will be responsible for strategic planning activities, mergers and acquisitions, and business development operations which include maintaining a pipeline of business opportunities, capture and proposals management, and market intelligence. Reed will report to Serco's Chairman and Chief Executive Officer, Dave Dacquino. Reed brings to Serco over 35 years of experience in providing services to the U.S. Federal Government. His leadership positions included Founder and President of Growth Strategy Leaders, President and Chief Operating Officer of NT Concepts, Senior Vice President of Strategy and Corporate Development at Engility, Senior Vice President of Strategy and Corporate Development at DynCorp, Vice President of Strategy and Business Development at Northrop Grumman Mission Systems, various leadership roles at Lockheed Martin, and Senior Policy Advisor and Executive Director of the Secretary of Energy Advisory Board at the U.S. Department of Energy. Currently Reed is an Adjunct Professor and Senior Fellow at George Mason University's School of Business. 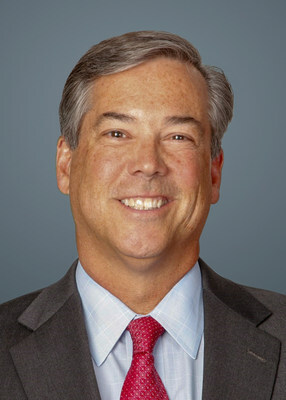 Reed holds a Ph.D. in public policy with a concentration in national security studies from George Washington University, a Master of International Affairs degree from Columbia University, and B.A. degrees in honors programs in both political science and psychology from the State University of New York at Albany. "Craig is a highly accomplished and respected leader in our industry. He brings to Serco a wealth of experience in corporate strategy and business development that will advance our corporate market growth goals," said Dave Dacquino, Chairman and CEO of Serco Inc.
Serco Inc. is a leading provider of professional, technology and management services. We advise, design, integrate, and deliver solutions that transform how clients achieve their missions. Our customer-first approach, robust portfolio of services, and global experience enable us to respond with solutions that achieve outcomes with value. Headquartered in Herndon, Virginia, Serco Inc. has approximately 6,000 employees and annual revenue of $1 billion. Serco Inc. is a wholly-owned subsidiary of Serco Group plc, a $4 billion international business that helps transform government and public services around the world. More information about Serco Inc. can be found at www.serco-na.com.